 Rabbit anti Salmonid Ig antibody recognizes salmonid immunoglobulin, binding to Ig of the Salmo, Oncorhynchus and Salvelinus genera. Rabbit anti Salmonid Ig antibody may be used to detect increased levels of immunoglobulins in fish serum, indicative of parasitic or viral infection (Xu et al. 2013, Millard et al. 2012). Antisera to salmonid Ig were raised by repeated immunisations of rabbits with highly purified antigen. Rainbow trout and Atlantic salmon immunoglobulins. Sambroni, E. et al. (2009) Delayed sexual maturation through gonadotropin receptor vaccination in the rainbow trout Oncorhynchus mykiss. Gen Comp Endocrinol. 164: 107-16.